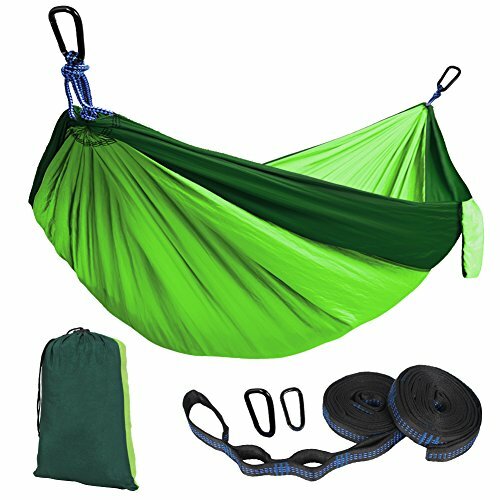 YOSEMITE COMPLETE PACK – Includes Tree Saver Straps, super strong reinforced polyester filament webbing 1″ wide 10 ft long 14 loops (28 combined) with triple stitch tack bars at 3″ apart for ultra-fine tune rated at 400 lbs valued at over $25.00 plus a set of 2 mini Aluminum Lightweight no snag carabiners valued at over $15.00 and of course our Duo Swing Hammock with integrated heavy grade no-see-um netting, stuff pouch, compression straps and net rope. 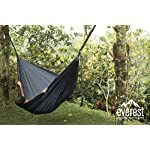 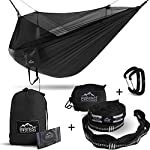 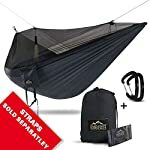 Hammocks are perfect environmentally low affect trip and backpack hammock as they leave no foot print, our portable hamock redefines grab-n-go camping. Sleeping out? 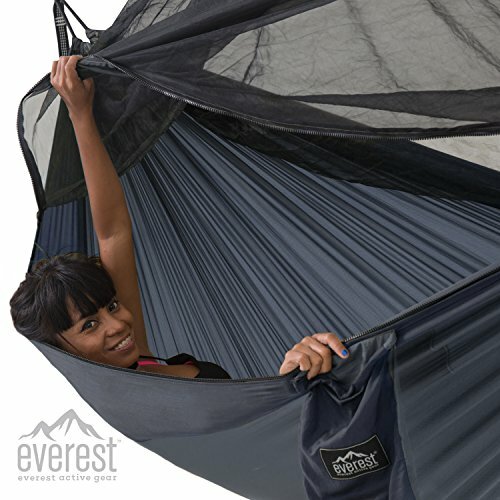 No need to take bulky tents anymore. 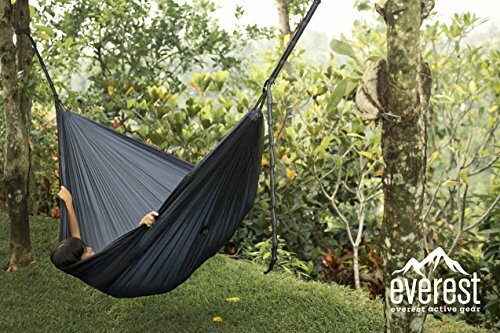 With our light weight, spacious designs you’ll have everything you wish to have to chill out in comfort for one or two on your next camping, hiking or backpacking hammock adventure you’ll’t go without. 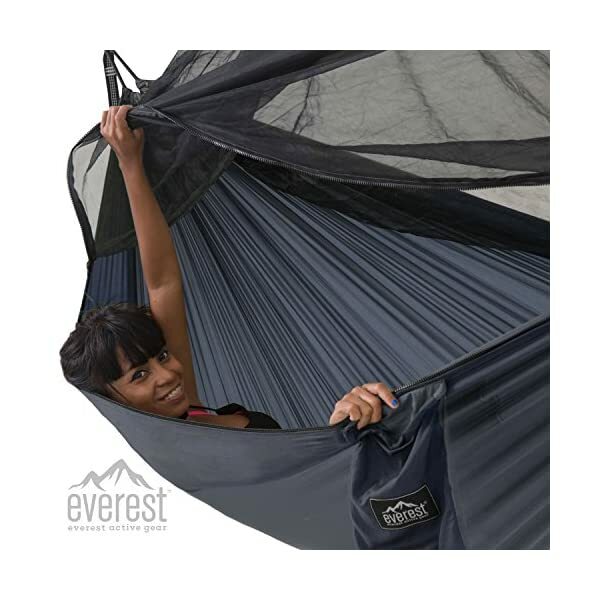 All you wish to have to add is the ultimate campsite. 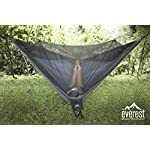 We’re proud of our products, we know there are a wide variety of camping Hammocks and choice available, few can compete with the quality you’ll find with our Everest Active Gear range. 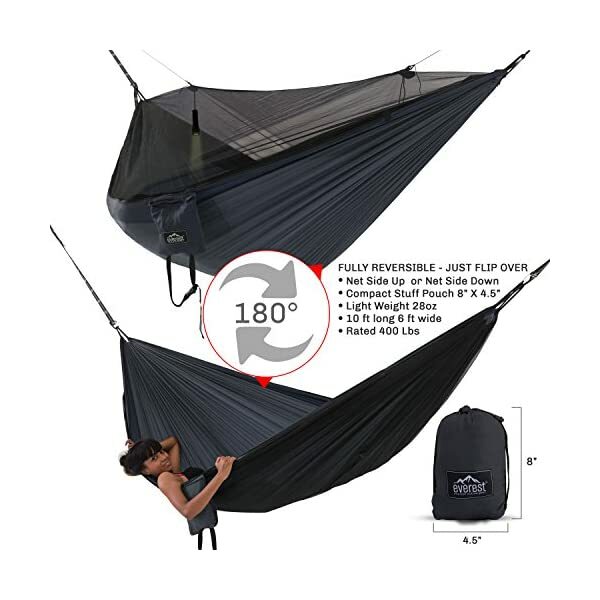 All hammocks are 100% Ripstop 210T Taffeta parachute nylon, triple stitched edge seems and our net range exclusively uses YKK zips and components and 31gm Mosquito mesh. 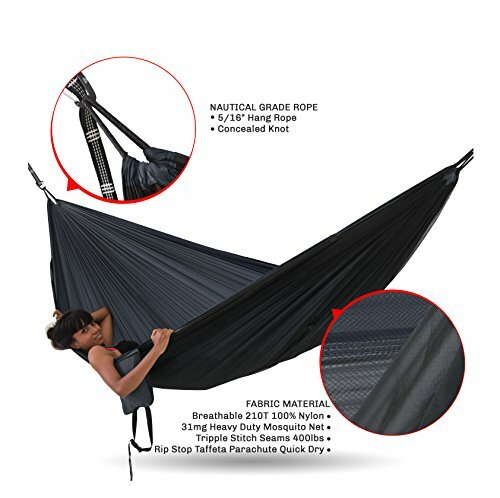 No other brand offers all this! 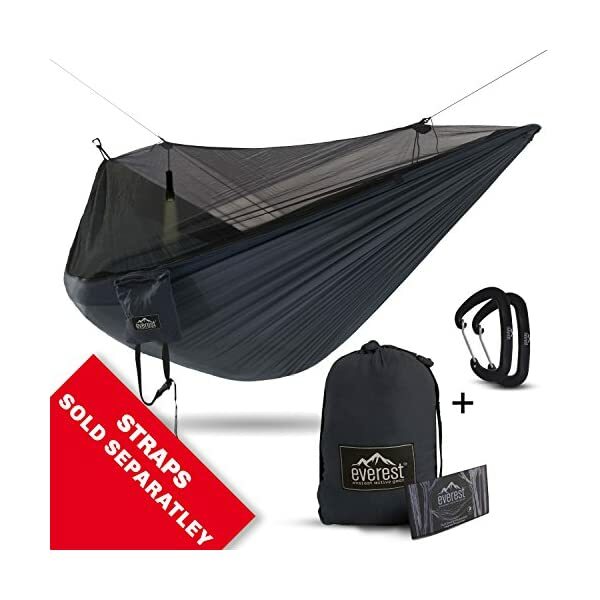 Seasoned outdoor pro or first time novice you’ll find our hammocks are a simple easy step setup. 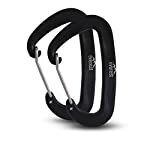 Imagine yourself discovering the peaceful, easy feeling of swinging freely in the awesome majesty of nature…don’t delay andADD TO CART to Buy Now! 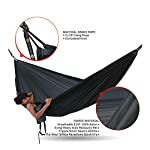 RIPSTOP DIAMOND WEAVE NYLON – Color designs to blend into your surroundings durable quality breathable high tensile 100% 210T taffeta parachute quick dry diamond weave nylon fabric, YKK double tab zip and components triple stitched edge seams rated 400 Lbs. 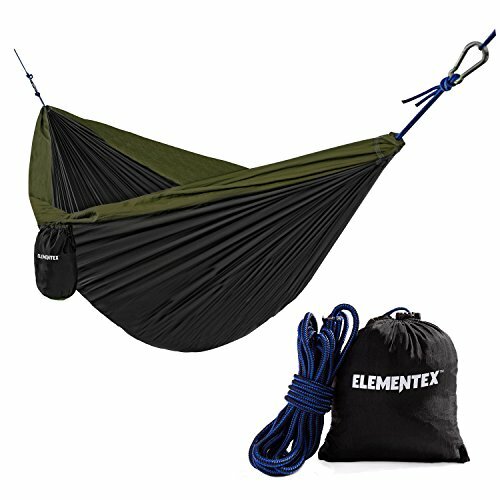 Big enough for two and spacious for one. 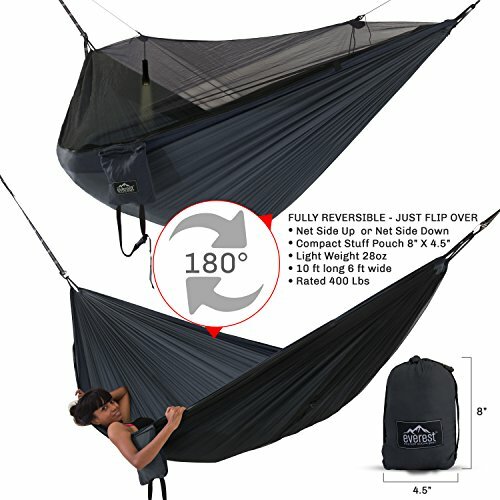 Our double camp hammock at 10 ft long and 6 ft wide will provide reliable strengthen ensuring you’re going to stay comfortable. 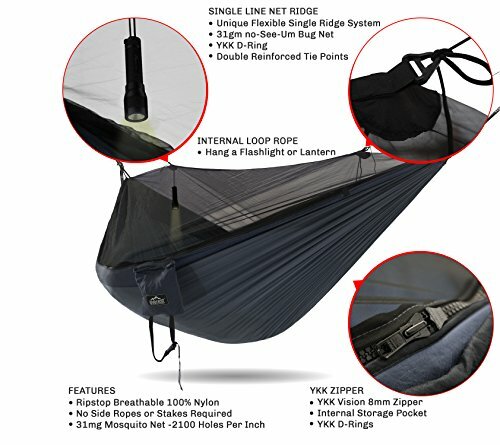 HEAVY DUTY MOSQUITO MESH – Like no other our unique net design provides an internal space without the feeling of being enclosed or claustrophobic and compatible with most Rain Fly setups. 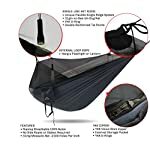 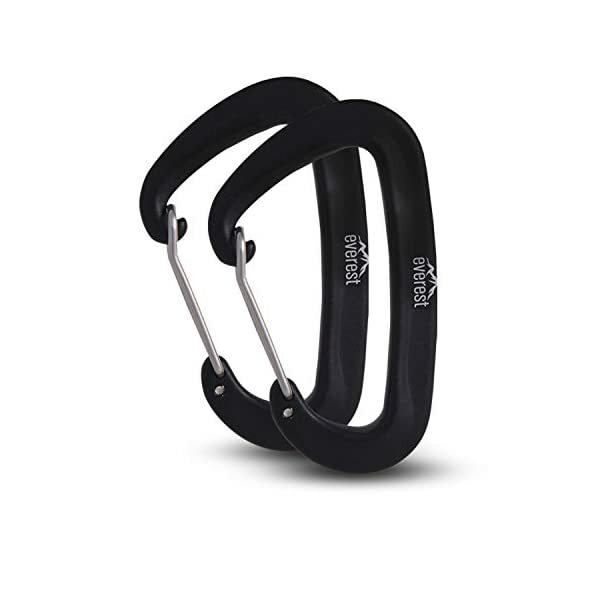 Our nets won’t pull or tear out hang tabs where others fail. 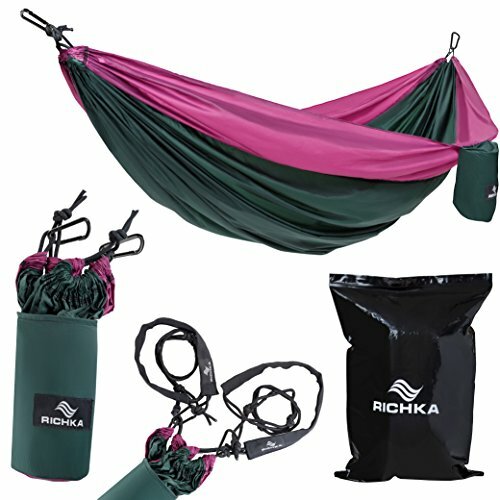 Made from Heavy Grade Polyester 31gm fabric. 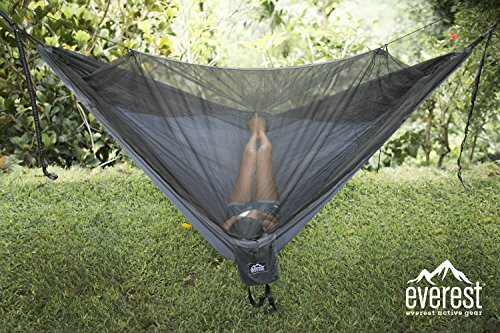 This 2100 holes per square inch No-See-Um bug netting is premium quality so you’ll chill out bug and mosquito free.